It was a string of messages. It was a string of messages, and one message rang clear: things are moving so fast, and I feel like I can hardly keep up. It was a string of messages just as the past three months had simply felt like a string of rather long days that, when pulled through your hands, goes so fast that (sometimes) you all you can feel is the burn. Is the burn a good thing or a bad thing? Well, that I don’t know. You see, feeling a burn means that you have to have motion. In order to feel anything at all, you had to have been doing something. But feeling the burn means that you are doing things that tend to have a chance of pain. Maybe it’s the deeper pains that i’m most deeply afraid of. The pain of underwhelmingly meeting expectations. The pain of constant pressure. I had sent a message; made a choice; taken an action. The rope is speedily sliding through my hands. And feel the pain? (oh) I do. It was 8:45. Sunday. The Billy. And there we sat. One director of photography, one commuting high schooler, one obliging sister, and one rope-burned instigator. We sat, and the white breakfast plates sat in front of us. The half-eaten waffles, remaining cheerios, opened yogurt, and boiled eggs rested on top of those. And our hungry stomachs were resting in the delight of being filled with breakfast food - filled while sitting in an office hallway. with dinner plates. and half eaten breakfast food. 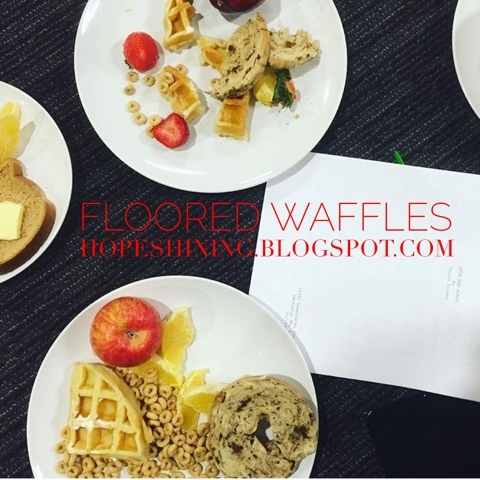 We ate the floored waffles. We sat in silence. We - those who move so fast that they know the rope burn - rested. We sat and let the moment be all that the moment could be — a time to be thankful for the moments that are so passing, so strange, yet so passingly strangely glorious. Feeling my rope-burn acutely, I ate the floored waffles. You see, maybe it’s not so much about gripping the rope so tight. Maybe it’s not even so much about wishing that the rope wouldn’t go so fast. Maybe, it’s about learning that the rope seems to be going fast, but you really need to learn how to move more quickly with the rope at times and more slowly at others. Maybe it’s about learning how to handle the rope so that you are no longer at its mercies but can determine its speed. And (maybe) it’s about learning to enjoy the wind from the speed of the rope in the meantime. And (maybe) it might just mean learning to live with the burn when the burn is particularly intense. Sometimes Sunday nights bring strings and floors and waffles, but (really) maybe they’re bringing a deeper satisfaction at the simple joy of simply being alive and living.